All couples who are going through the adoption process are thinking about how their child will feel when they arrive home. The culture and heritage of your adopted child are very important elements to consider. This will add a new exciting dimension to your family and help your child maintain a connection to their place of birth. Within the US there are subcultures that are vastly different. For example, a child living on a dairy farm in Montana being placed with an adoptive family in New York City would experience culture shock. Similarly, a child from Korea being placed in the US will also experience disorientation. Both examples require the child to learn about new traditions, languages or dialects (in the case of the domestic adoption), food, family life, celebrations, social cues, values, etc. It’s very exciting to not only have a new child in your family, but the addition of your child’s new culture and traditions makes the experience richer! The following are some tips to help you prepare. As adoptive parents it is your job to find out as much as you can about your child’s culture and heritage. Take out books from the library, explore websites, learn new recipes specific to your child’s place of birth. In addition, you can explore the cuisines, holidays, celebrations, language and traditions. If you have friends from that culture, ask them questions about their favorite traditions and cultural themes, attend their religious services, meetings, etc. Finally, if you have other children, require them to learn this too. Have fun with it! It will be a great way to bring your family closer together! Your adopted child’s culture should be viewed as part of your family’s culture, adding new and exciting foods, traditions and celebrations into your family life. By showing your child that your entire family celebrates and are proud of their heritage, it will foster a sense of pride in your child. By embracing all of the elements of your child, including their culture and heritage, it shows your child respect and demonstrates how much you value their place in the family. 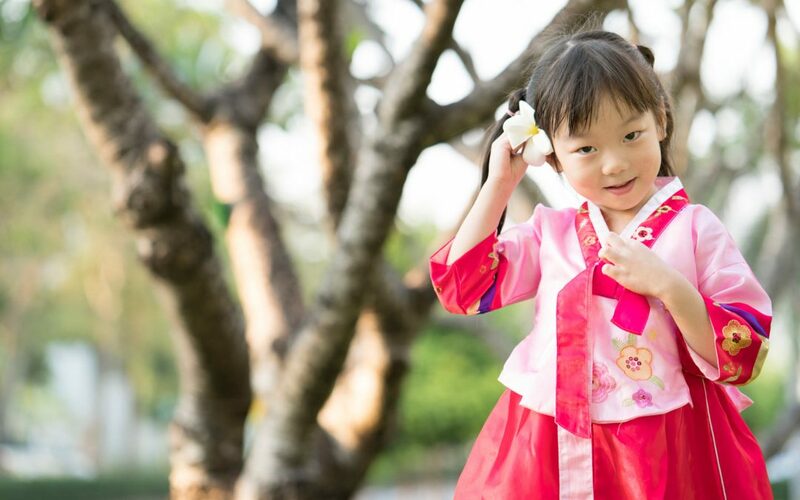 Become a little Korean, Chinese or Western American! Remember that your adopted child is trying to adapt to a new culture. He or she is working hard to learn the new language, enjoy new foods, and adapt to new routines. As they get older, they may not want to seem different or stand out in any way, especially during their school years. Consequently, they may not want to talk about or focus on their culture and heritage during certain times of their youth. Later, they may want to explore more information about their homeland and culture. Being flexible and understanding of what your child’s needs and wants are as they grow regarding their culture and heritage will make their journey easier. Being born into one culture and/or race then being raised in another requires an open and honest dialogue between you and your child. Let your child know you welcome their questions and curiosity. Join with them in exploring information they ask about. Add artwork, music, home décor from your child’s place of origin to your home environment. Collect children’s’ books that are specific to his or her heritage. As your child reaches their teenage years, they will begin to integrate their life experiences into developing their own sense of identity. Most importantly, with a positive and open home environment where they are free to explore their own culture and heritage, they will be able to incorporate a well rounded, and proud sense of themselves as they transition into young adulthood. For more information on international adoption resources, organizations and readings, see the links below.